Acclaimed international producer Kris Menace unleashes his first vocal album project, ‘Features’. Made with blood, sweat, tears and love, ‘Features’, whose name pertains to the collaborative nature of the beast, includes a plethora of incredible performances such as Julian Hamilton from The Presets, the fabulous Miss Kittin, house music Legend Robert Owens, Daft Punk collaborator Romanthony, the amazing German soul singer Xavier Naidoo, Chelonis R Jones (known for his work with Royksopp & Booka Shade) and MTV award winner Simon Lord (singer for Justice's ‘We Are Your Friends’). In addition, some of the coolest talent on the synth pop block make an appearance including New York based tv-star Lawrence LT Thompson (The Kiki Twins), Black Hills (South Dakota), Unai (Sweden), Thomas Gandey (Cagedbaby), Dominique Keegan from The Glass (Plant Music); and an iTunes exclusive with legendary jangly Britpop heroes Dodgy! In 2005, Kris Menace gatecrashed the scene with ‘Discopolis’ released on legendary Parisian label Vulture. Since then Kris has become one of the most respected producers in electronic music, known for a string of acclaimed releases including two LP projects: ‘Idiosyncrasies’ (2009) and ‘Electric Horizon’ (2012), his side projects: Black Van (DFA) and Stars on 33 (Eskimo), plus collaborations with the likes of Aeroplane, Felix Da Housecat, Rex the Dog, Fred Falke, DJ Pierre, Steve Aoki and Alan Braxe. 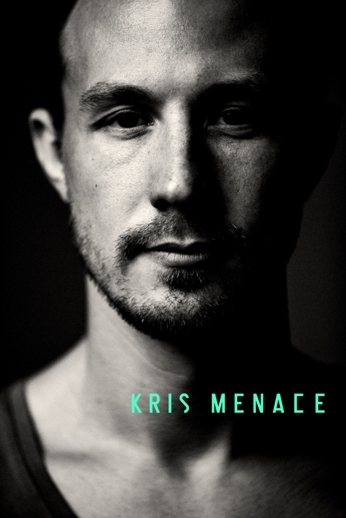 Menace's prodigious influence on contemporary electronic music is well documented, with Kris becoming one of the highly respected producers & busiest remixers in recent years, working for LCD Soundsystem, Depeche Mode, Metronomy, Royksopp, Air, Underworld, Moby, Benni Benassi, Martin Solveig, Aeroplane, Pnau, Paul Weller, Kylie Minoue and Lana Del Rey, just to name a few. Kris’ works have been signed to some of the most influential labels in the world and have in turn become treasures of the world‘s electronic dance community for both fans and pioneers alike.